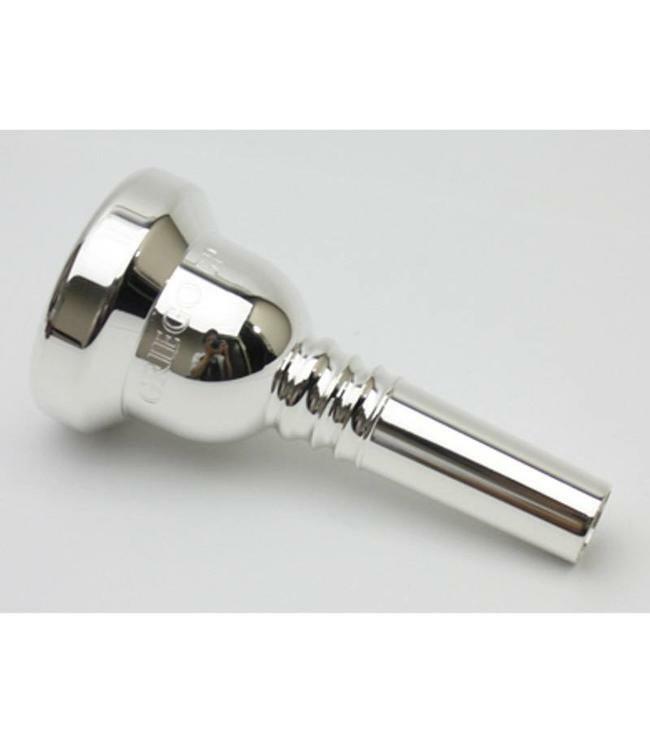 This mouthpiece is very well balanced. I work with a lot of bass trombonists, so I'm quite sensitive to the needs of you guys. While we all love big bass trombone sounds, a bomastic low register usually equates to a wide-open, "false ringing" upper register. This piece addresses that with a big bass sound in the low register that also works great in the upper register. And it does that without being overly bright. The GP6 was created for those old-school fans of the 60 that like a thinner rim and wider cup diameter. If you like the GP but desire a larger bottom and more room for your face in the cup, this is probably the mouthpiece for you. How does it differ from a 60? The rim shape on the inner bite is the same as the GP, as is the overall cup depth and shape. The throat is also the same size as on the GP. As with the GP, the upper register is clean, clear and very trombone-like. The lower register still pops and maintains a good resonant sound that the GP is known for. The GP6 may be the solution you're looking for or another step towards the mouthpiece straight jacket.